Goizper 4.53 Series is an Electromagnetic Multi-Disc Brake. Manufactured to work in a lubricated or dry medium. The coil feeding creates a magnetic field when it receives electrical current. Protecting your components from damaging loads, whilst offering quick reaction times.  Industrial Clutch Parts Ltd. distribute a complete range of Goizper Electromagnetic Multi-Disc Brakes and Clutches, suitable for dry or wet operations. Available and stocked in the UK for fast delivery times. Goizper Electromagnetic Multi-Disc Brakes provide very quick response times and are used in a diverse range of applications. Goizper Electromagnetic Multi-Disc Brake Series 4.53 has been designed to work in a lubricated or dry medium, similar to the 4.50 Series. The coil feeding creates a magnetic field. This field attracts the disc, which catches the set of interior and exterior plates, providing a braking force for the shaft on which the core is mounted. Due to the design, the magnetic field produced by the coil doesn't pass through the plates, enabling the brake to provide rapid reaction times.